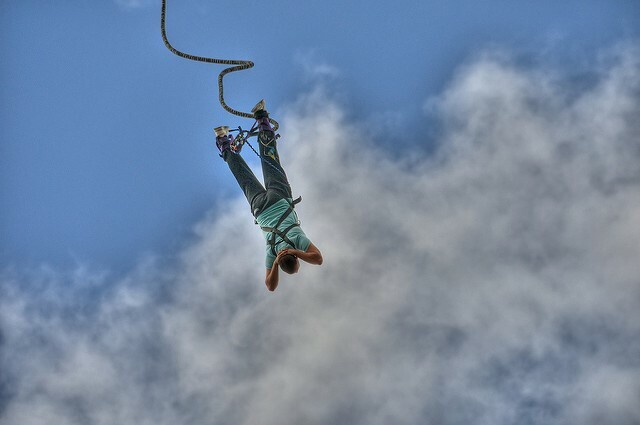 Bungee jumping is a jump from a height on an elastic rope. At the last moment the rope delays the jumper at a short distance above the ground or water. Someone thinks bungee jumping is a sport, someone calls it just extreme entertainment, and someone says that this is a stupid idea. However, the Pacific natives and the tribes of South America were engaged in this activity in the form of an ancient ritual long ago. Now, everyone can jump, and this is probably one of the best ways to test your courage and bravery. This subculture has led to the birth of a specific “bungee tourism”, the world center of which has long been New Zealand. However, bungee tours are also very popular in Australia, USA, France and Switzerland. Here’s an overview of some great bungee jumping spots, and having booked a car rental at rentalcars24h, you’ll be able to reach them without any hassle. 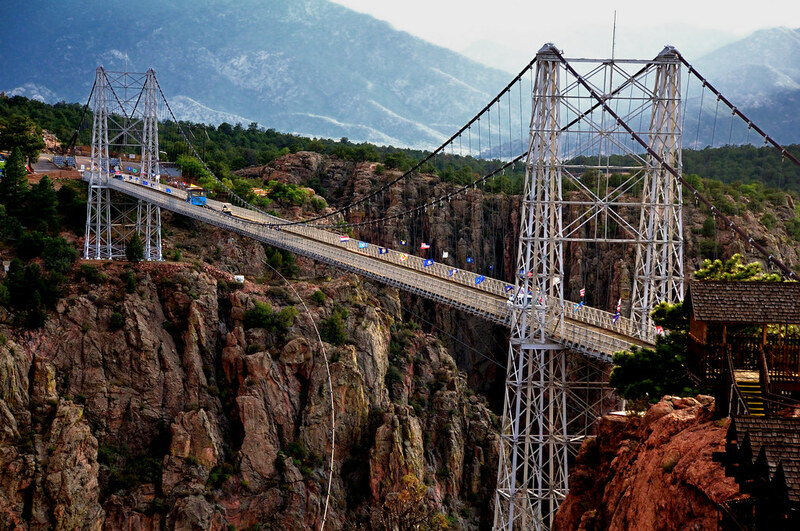 The highest bungee-jumping spot is situated in Canyon City, Colorado. The bridge’s height is 321 meters and many people are afraid to just walk on it. Nevertheless, not only extreme lovers like to jump from it. The Royal George Bridge is famous for the fact that many suicides jumped from it. The authorities constantly invent cunning barriers for such people, but, all the same, deaths sometimes occur. A jump from this bridge can be the most vivid impression of your life, because the beauty you can plunge into is simply incredible. Although, if you’re a beginner jumper, then surely all this will happen with closed eyes. The duration of the free flight is only 6 seconds, and the record jump was marked at 240 meters. 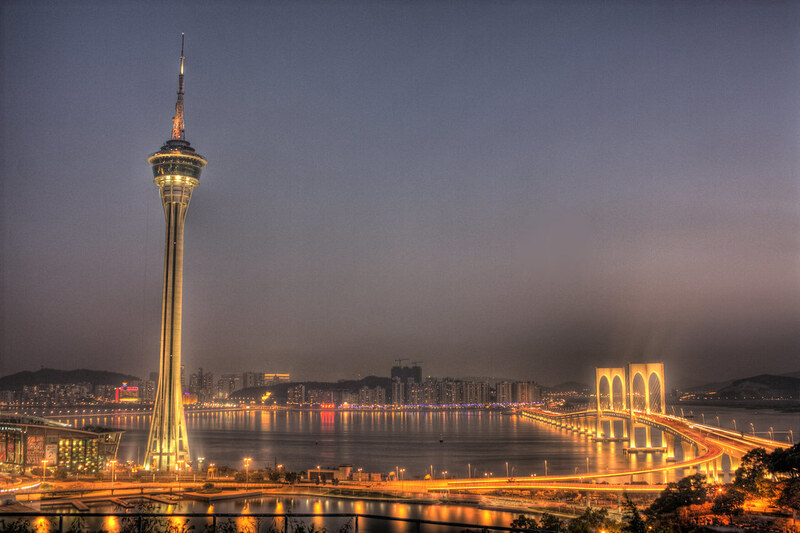 The Chinese TV Tower in Macau is among the ten tallest buildings in the world, so it’s hard to imagine if bungee-jumpers had missed such a beautiful object from their sight. At the very top there’s an observation deck, where not only a stunning view of the city is provided, but also a small bridge is installed for those who wish to take the jump. The duration of the jump is 5 seconds and don’t be afraid to touch the building itself. Even with a strong wind, everything is designed so that during and after the jump you are at a safe distance from the main structure. Verzasca Dam could be an ordinary building of a hydroelectric station on Lake Vogorno until the end of its days, if it hadn’t been noticed by director Martin Campbell. In the 17th of James Bond series called Golden Eye, the brave 007 agent jumped down from this dam. After this, Verzasca became one of the most favorite places for bungee jumpers. Today, the opportunity to repeat the jump of James Bond is available for everyone. What’s more, day and night jumps are at your disposal – the price starts from $258. In order to do this, you will need a preliminary reservation, a medical examination, as well as proper height and proportional weight. This is a common road situated near Nature’s Valley. It’s considered to be the tallest arched bridge used by bungee jumpers. 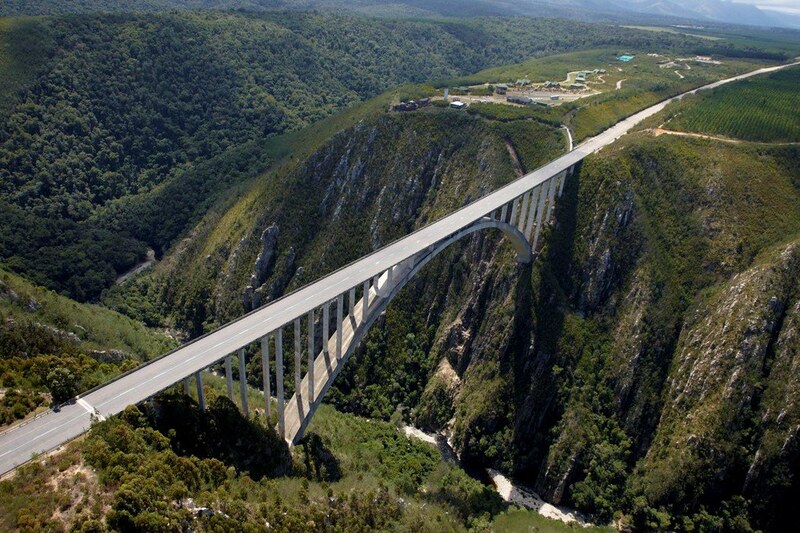 Its height is 216 meters, thus the time of free flight in a bungee jump will be 7 seconds, and the speed at the lower point of flight will be 120 km/h. 25 thousand fans of this extreme entertainment have already made jumps from Bloukrans, and not a single accident or injury has been recorded. The price of such a jump is amazing – only $5. Swiss bridge Niouc is located near the small town of Sierre in the canton of Valais, which is considered to be one of the sunniest cities in Switzerland. 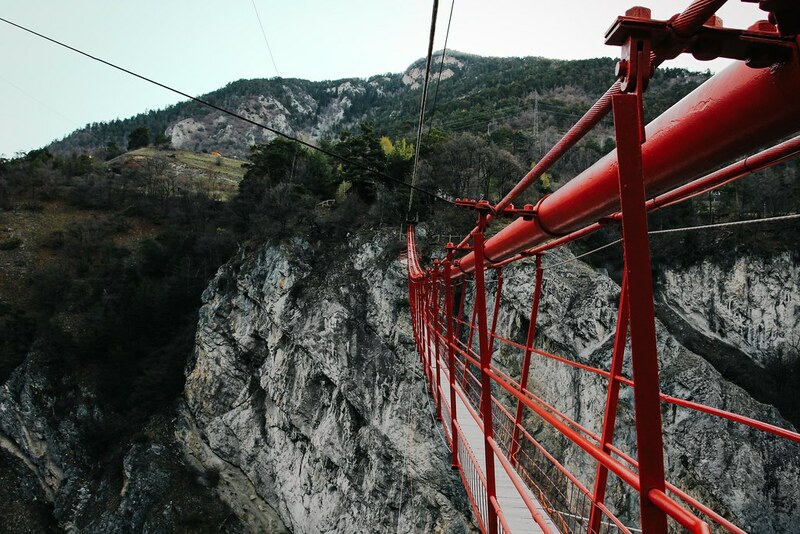 This is the highest suspension and at the same time pedestrian bridge in Switzerland, which was originally built for the construction of the pipeline. Since 1996, there’s a popular bungee jumping site. It works from 11 am till 6 pm, and for a flight lasting 4 seconds you will have to pay about $215. It’s among the most magnificent places on earth, where the name of the jump comes instantly – it’s ‘terribly beautiful’. 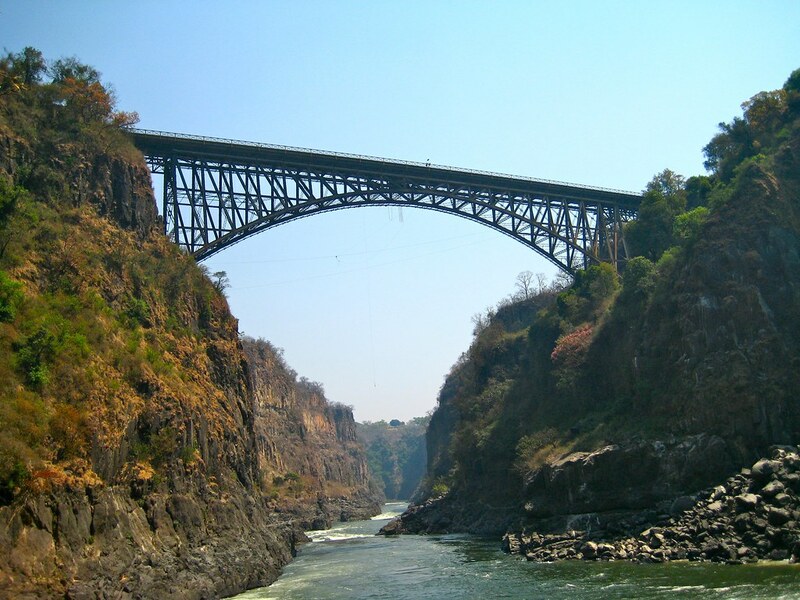 Indeed, a unique nature of Victoria Falls gives the local bungee-jumping some extra charm. The bridge, which connects the two countries, has become an excellent place for the construction of the site, where not only tourists, but also jumpers admire the surroundings. You have only 3 seconds of free flight, but what seconds will it be! Under the deafening roar of the waterfall, you rush into the swirling abyss and emerge from it a completely different person. Many of those who jumped from the bridge say that they didn’t hope for a successful outcome of this event. They understood that everything ended well when cold splashes of water fell on the face. 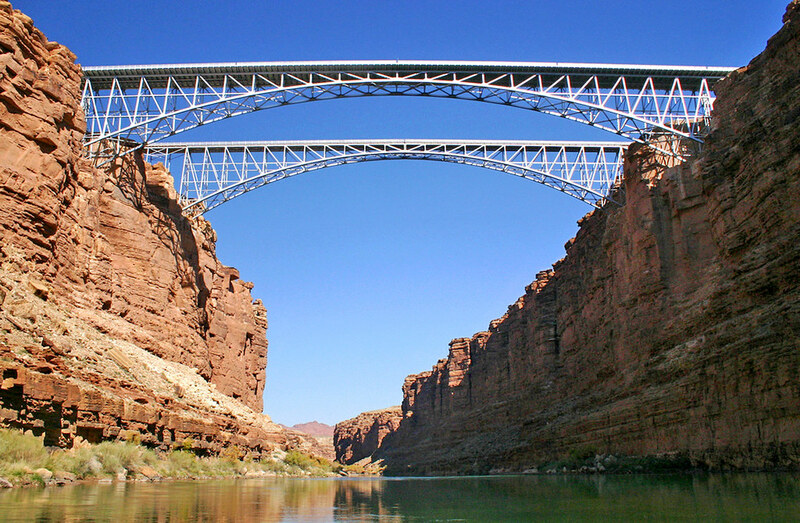 The Navajo Bridge is located on the edge of the Grand Canyon National Park in the upper course of the Colorado River. Bungee jumping season begins there in September, when nature shows all its beauty. But if you want, you can come there at any other time. Since this bridge is intended only for pedestrians, without hesitation, there was decided to build a special area for jumping from it.